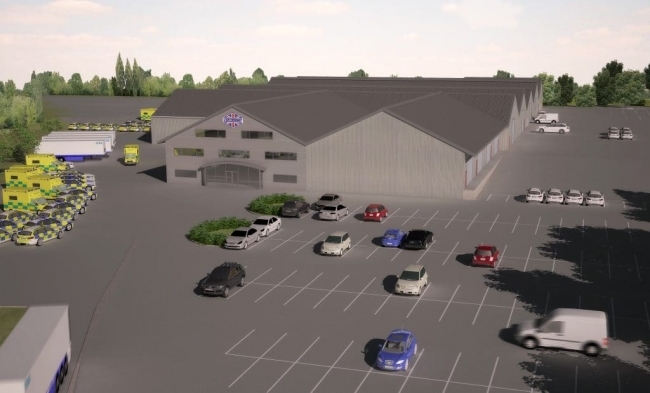 One of the UK’s leading trailer, commercial vehicle body and conversion manufacturers, Cartwright Group, has announced the acquisition of a 26-acre site in North Lincolnshire to create a new flagship base for Cartwright Conversions. Led by group managing director Mark Cartwright, Cartwright Group currently builds trailers and commercial vehicle bodies at its 38-acre site in Altrincham and Cartwright Conversions operates from Doncaster. The Group which includes S Cartwright & Sons (Coachbuilders), Cartwright Rentals, Cartwright Fleet Services and Cartwright Finance has increased turnover from £89m to £150m over the last 4 years and predicts almost £170m in 2018/19. As part of its continued UK expansion programme, Cartwright Group intends to relocate Cartwright Conversions to the new site at Belton and expects to increase the number of jobs from 72 to around 250 over the next 18 months. Established in 1952 and now under the banner of Better, Built in Britain, Cartwright Group employs a workforce of over 1,000 highly skilled and trained staff who design, engineer and build the widest range of high-quality trailers and rigid bodied vehicles on the market. Their customers include some of the UK’s biggest companies, such as Royal Mail, Argos, Asda, Sainsbury’s and Tesco and in flying the flag for British manufacturing excellence, the business also has major export customers in Europe, Australia, UAE and South America. Eden Planning Director Donna Barber, advising Cartwright Group on the planning and development of the site added: “The Belton location is perfect, with good access to the motorway, it enables Cartwright Conversions to stay in the area, easily relocate its skilled employees and provide room for future growth. Being outside but close to the nearest settlements means there are no amenity issues but that local people can access the site by walking, cycling or bus. The site itself is particularly suited to meet their needs, combining industrial buildings with hard standing areas. The proposals would bring a disused industrial site back into productive use, add a further 150,000 sq. feet of production space creating new jobs. Alongside this, additional local jobs and investment will also be created during the construction phase. We look forward to continue to work with the council to ensure that the local community benefits from the new jobs created”. Cllr Rob Waltham, leader, North Lincolnshire Council, concluded: “Attracting new investment and jobs to North Lincolnshire is a key priority for the council. We actively work with businesses to encourage new start-ups, expansions and relocations. I have met with the company and their plans are impressive. This is a major development that will transform a disused industrial site and bring it back to life – creating hundreds of jobs and training opportunities.